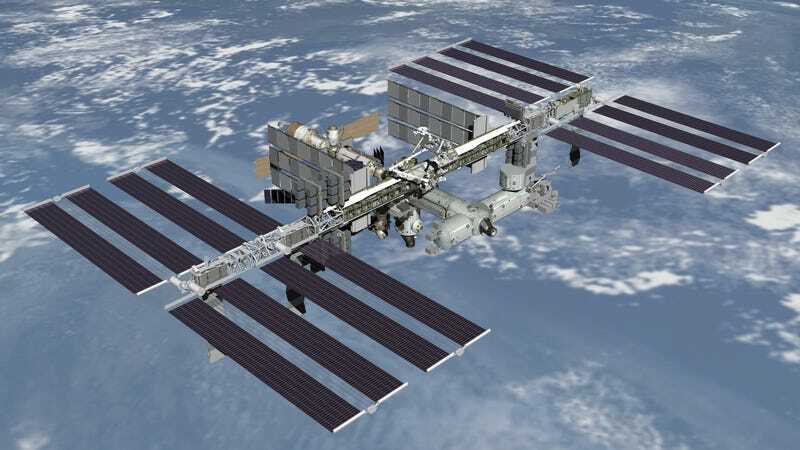 Yesterday, astronauts aboard the International Space Station noticed odd flakes floating about outside, which turned out to be ammonia leaking out of the radiator lines of the space station's power system. Now, after a day of deliberation, it turns out two astronauts will leave the ISS, and brave the great abyss to try to fix the problem. Uh oh. You saw the captivating trailer for Gravity this morning? Yeah, real astronauts are about to throw themselves into space right now. Let's hope it goes well. According to reports, the crew is not in any immeditate danger, but the decision has officially been made to go forward with a six-hour spacewalk to try to fix the problem. According to the AP, U.S. astronauts Chris Cassidy and Tom Marshburn will perform the spacewalk. This is reportedly one of the "Big 12" types of emergency spacewalks that astronauts train for. Spacewalks don't happen that often—there have only been 356 in the history of space travel—and usually require lots and lots of preparation. It's clear that this situation is a little different from most.